Sold to Maxim Brown at Arcade Publishing - North American rights. 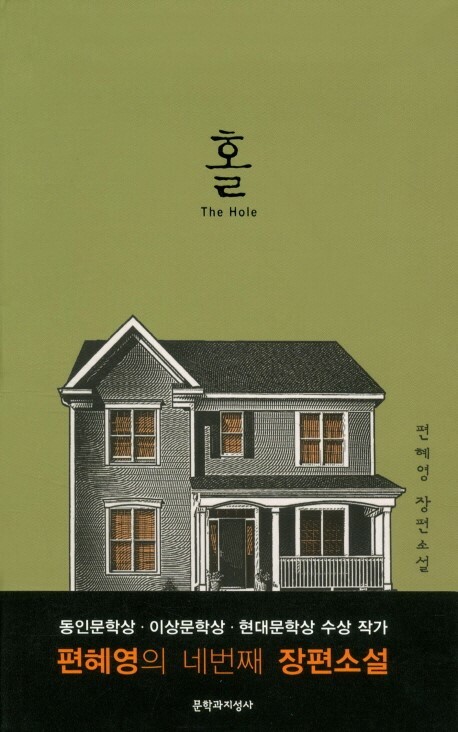 The Hole, by South Korean writer Hye-young Pyun, is the story of Ogi, a college professor in his forties who wakes from a coma after a devastating car accident. He finds out that the accident not only took his wife’s life but also left him paralyzed and unable to speak. Meanwhile, his mother-in-law, a widow grieving the loss of her only child, takes over caring for Ogi despite her suspicions about his marital fidelity and his role in the accident. Ogi returns home from his lengthy hospital stay expecting to begin a period of recovery but is impeded by his mother-in-law, who fires his hired nurse and moves into the house herself, right into his wife’s room. Soon after, she dismisses his physical therapist as well and scares off the few friends brave enough to visit, and leaves Ogi unattended for most of the day and night, only showing up sporadically to feed him a liquid-only diet or to empty his catheter bottle or bedpan. Ogi’s world shrinks down to the bed he lays in. As Ogi has nothing to occupy his time other than his memories, a series of flashbacks takes the reader through Ogi’s troubled relationship with his in-laws and his wife—a sensitive, intelligent woman who found all of her life goals thwarted except for her final one: cultivating the garden in front of their house. The garden becomes the central metaphor of the novel: the barren earth that his wife labored to turn into a lush, growing place is left to wither after their accident and is then uprooted and cratered by his mother-in-law, who digs increasingly large holes in the garden and, when questioned about her actions, replies that she is merely finishing what her daughter started. The title of the novel is a play on words: a transliteration of the English word “hole,” 홀 (hol) is a Korean prefix meaning “alone” and most readily refers to one who is widowed. Just as Ogi is now a widower and an invalid, trapped in the solitude of his own wrecked body, his mother-in-law is a widow and a bereaved parent who never fully recovered from growing up half-Japanese in a society that casts a suspicious eye on heterogeneous identities. Each of the principal characters in this book is deeply alone, even when they are together. In the end, Ogi attempts a daring escape only to find that there is no way out of the hole that has been both figuratively and literally dug in the middle of his life, and it is there that he learns a difficult truth about his wife and the toll their life together took on her. The Hole is signature Hye-young Pyun: the darkness of everyday life is turned over and exposed to the light. At first glance, the novel seems to read like a ghost story. The reader is quickly hooked by a scene in which Ogi’s dead wife stares down at him from the ceiling of his hospital room. But Pyun’s novel is rooted in a more existential form of horror: she peels back the layers of her characters’ psyches to reveal deep truths about our lives and our relationships. Perhaps most impressively, she imbues each of her characters equally with moral complexity: the reader is never quite sure who to trust and who to fear for. At just over two hundred pages, The Hole is a fast, tense read. Pyun is at the top of her powers with this, her fourth novel. She uses her characteristically distant tone and terse elliptical sentence style to create a mounting sense of dread that makes the book difficult to put down. Despite its ready comparison to Stephen King’s Misery, this novel is ultimately less about monsters in our midst and more about the monstrosity of neglect, in all of its banal and brutal forms. Stylistically, Pyun’s is best compared to the work of Shirley Jackson and Yoko Ogawa, for her blending of the everyday with the gothic and the grotesque, and would be of strong appeal to fans of both literary fiction and genre fiction alike. "Pyun’s novels are atmospheric and absolutely unique explorations of the quiet menace beneath the surface of our modern lives. Visceral and stylistically evocative, ASHES AND RED brings to mind early JG Ballard or Ian McEwan in their depictions of how the right circumstances can bring out the deep cracks in our humanity." Changbi/Korea, 2010, Sold to Philippe Piquier/France, Maxim Brown at Arcade Publishing - North American rights. First novel , City of Ash and Red (Changbi Publishers, Inc. ), Phillipe Picquier/France. Like a Korean Dante’s Inferno - literary thriller bookended by the murder of the protagoinist’s wife who we don’t know if he killed her or not. He is oblivious to his downfall and finds himself in a city rife with disease, ruined by trash, and teeming wi th rats. His journey through this modern hell and back is breathtaking in its literary accomplishment and original voice. The story takes place in Korea and the unnamed country C, in a filthy, rat-infested and polluted city could be taken as New York, Naples, Bangkok, Beijing or any other metropolis on the verge of polluting itself to death. This is a contemporary psychological novel that reads like a postmodern classic. A mesmerizing book, a page-turner with an ecological and cultural warning. The main character is a morally bankrupt everyman in the overly technological, electronic world of this book. When nature intrudes on him, however, his animal instincts erupt to dangerous results. The unnamed protagonist of City of Ash and Red works for a pest control company and after inadvertently demonstrating his skills at catching rats, he is given a much sought after transfer to a foreign country where he is to work in a chemical plant at a higher level job. No sooner does he deboard the plane than he is whisked away by quarantine officials and detained overnight. The next day he makes his way to his new home in the foul-smelling, trash-choked corner of the city. In short order his luggage and phone are stolen and he is told not to come to work the next day. He suddenly realizes that he is stranded with no means of contacting the outside world. Still worse, when he finally manages to contact an old friend he is told that his ex-wife has been murdered and her body found in his apartment. Shortly thereafter he is arrested. In a flash he throws himself out the window to a huge pile of garbage below. The novel follows his struggle to survive in this foreign city gripped with fears of contamination and to reestablish contact with his company and friends and regain his memory, which was lost in his self-imposed amnesia. Did he kill his wife or not? Who is he? At once meditative and action-filled, Ashes and Red, is a timely account of the destructive impact of fear and anxiety on people’s lives. Readers will be electrified by the vision of a city falling apart at the seams and the story of a man who may not quite be who he seems to be.